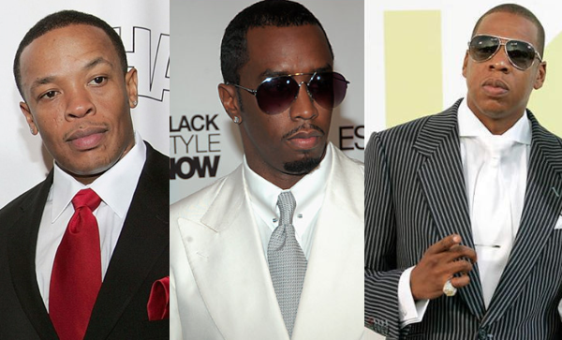 The list of highest paid people in Hip hop music have emerged in all their money earning power. Record sales magicians and entrepreneurs with the ability to sell any thing with their name on it, these hip hop gods do not only know how to make money, they know how to make it big. P. Diddy is number one on the list of highest earning Hip Hop stars in the world 2016. He has achieved this feat for the second year in a row. Other than 2014 when Dr Dre beat him to the top spot, he has been the top earners in at least 5 years. Forbes today released it's annual Hip-Hop Cash Kings List, and Diddy, Jay Z, Dr Dre, Drake and Wiz Khalifa made the top 5 spots. The other stars in the top 20 aren't a walk in the park either. Its a list that will blow your mind away. Check them out below; the list of hip hop stars who earned the most in the world in 2016. The top of the money making pack in the rap music world. These 19 men and one woman(Big praise to Nicki Minaj for being the only woman in the pack) are the highest earning Hip hop star in the world 2016.